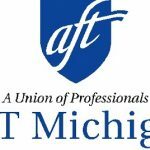 AFT Michigan Vice President, Jeff Whittle who is the president of the Macomb ISD Federation of Paraprofessionals wrote this Op-Ed that appeared in the Macomb Daily on March 29, 2019. You can read the original article here. As we read more about “teacher” strikes across the country fighting for better pay, smaller class sizes, and resources for schools, we don’t often hear about the support staff who are also on picket lines, but these folks are just as important as teachers. It’s not surprising that support staff are largely ignored during coverage of work actions. In many cases, staff are paid very little and if offered insurance, it’s not affordable. Support staff are often contracted out to the lowest bidder. Paraprofessionals, bus drivers, custodians, and secretaries are vital support staff for the entire school community. It’s important we acknowledge the work that they do and ensure they have the resources and respect they deserve. Paraprofessionals help students one-on-one and in groups so they pass their classes and graduate. They often act as a social worker of sorts and address a student’s social and emotional needs to help prepare them for life in school and beyond. Bus drivers are usually the first school person a student sees in the morning and last person at night. They navigate our roads and drive huge vehicles amidst careless drivers. They need to be on time, know emergency procedures, watch the students and keep their eyes on the road. Custodians are jack-of-all-trades, looking out for school infrastructure and safety of all students and staff. These folks are also an example for students who may want to pursue the skilled trades. Secretaries master specialized computer programs for the school to run effectively. They ensure attendance and reporting are timely and done properly. They schedule, plan events and work the front desk as frontline security, as well as administer medication. Research tells us that a hungry student is at a disadvantage academically. Kitchen staff ensure students are properly fed and have the energy they need to perform well throughout the day. Support staff, like teachers, spend their own money on students as well, while making a fraction of what teachers make. Often it includes buying a student’s lunch, bringing in clothing, and providing classroom supplies. Special education paraprofessionals perform many medical duties within classrooms for students who need them. Support staff are vital for the success of students and the school, and yet, they’re often underpaid. I know of one elementary special education paraprofessional who makes around $200 after her insurance costs every two weeks. Working daily with severely special needs students, she is getting scratched, hit and kicked. But she shows up the next day ready to continue the work of improving the student and family’s life. We often read about teacher shortages. There is a support staff shortage as well. We need to address this shortage, along with treating them with respect. Recently, the U.S. House of Representatives passed a bill that will require Secretary of Education Betsy Devos to recognize a school support staff worker nationally. Let’s get it through the Senate and signed into law. Fifteen years ago, the Michigan Department of Education initiated the Support Staff of the Year Award. The program was discontinued. Let’s bring it back! It is no secret that performance in Michigan’s public schools has plummeted when compared to other states. This is not caused by lack of will and passion of teachers and staff. “You’re not failing us, we have been failing you,” Governor Whitmer stated referencing educators during her State of the State address. Those words ring true for support staff like me. I speak as a voice for support staff across the state and nation. Fortunately, I am a paraprofessional at the Macomb Intermediate School District where, through collective bargaining, we have fair compensation. Unfortunately, many other districts have struggled or failed to recognize the value of their support staff. Support staff are integral to our students’ education, to our schools improving. Respect us, honor us, and pay us a fair wage. Jeff Whittle is president of the Macomb Intermediate School District Federation of Paraprofessionals and the vice president of AFT Michigan.